NEXT 08.02.2019 HAMBURG, Germany 15.02.2019 Aarhus Denmark 02.03.2019 Dresden Germany more to be announced :) DJANE KIMIE When this lady appears behind the decks, the famous Trance groove of scene hotspot Hamburg shows one of its brightest sides: Having a distinct feeling for the right music at the right moment, Kimie knows exactly how to send her audience from one euphoric climax to the other. And she does so with good reason. Born and grown up in the North German metropolis of Hamburg, Kimie could be described as pretty much party-experienced. Already in 1999 she was among the core audience on the dance floors of the Hanseatic city as well as at the summer open air festivals. Accordingly she knows very well about these places. And surrounded by lots of creative friends, among them some of the protagonists of the North German producer scene like Alexander Ligowski, Magical, Fabio, Neelix, Galactika or Day.Din, it was only a question of time until Kimie became interested in participating actively in the musical aspects of a party. When she tried her first mixes in 2006, she showed the same enthusiasm and passion like when dancing. This is most probably also the reason why she made considerable progress in no time. An experience she will never forget was the opening of the Trance floor at Fusion Festival 2009. 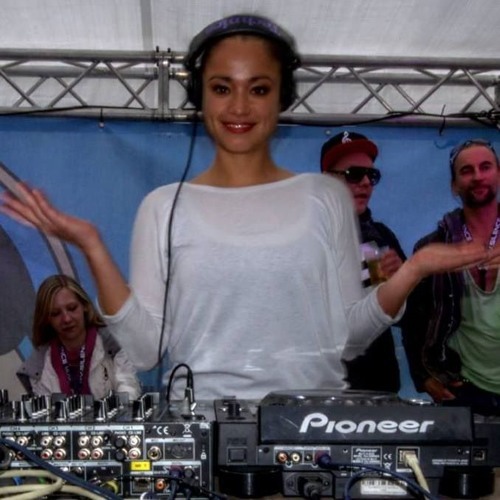 Beside being a resident at Hamburg’s Juice Club she represents the renowned Progressive label SpinTwist Records at her both national and international gigs since 2009 for example Airbeat One Festival, Halfmoon Festival in Thailand, Indian Spirit, Psychedelic Circus and Fusion Festival in northern Germany. Tracks and playlists liked by Kimie SPIN TWIST Rec.